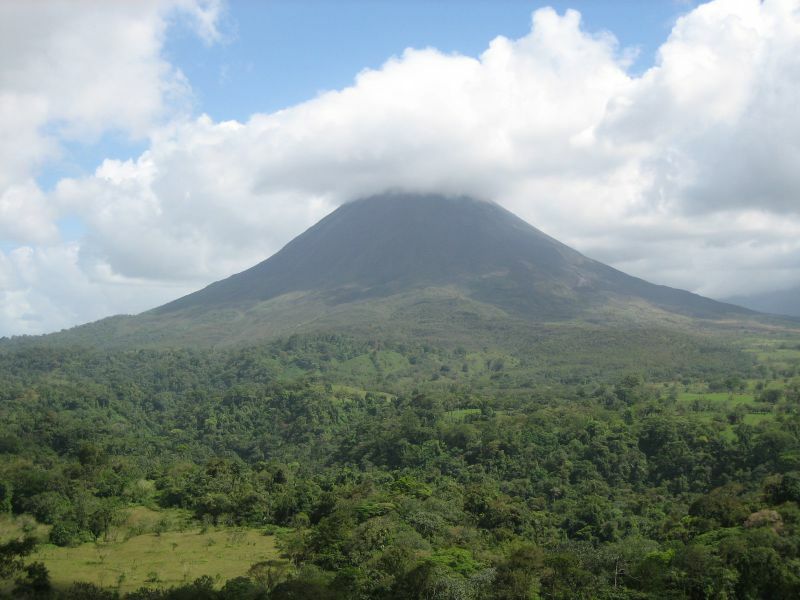 Arenal Volcano National Park is found within the Arenal Tilaran Conservation Area in the central part of Costa Rica. Inside the park are the Arenal Volcano, Lake Arenal, the Lake Arenal Dam, and another volcano called Cerro Chato or Mount Chato as it has already been inactive for 3500 years. Unlike Cerro Chato, the Arenal Volcano used to be dormant until it had a major eruption in 1968. Since then, there has been constant volcanic activity in the area specifically in the volcano’s Crater C. There is presently lava flow of andesite basaltic compostion, gas emissions, and explosions of pyroclastic materials. Adventurous travelers who wish to witness this volcanic activity can take part in the various tours arranged by the park management. From the park, visitors can view Arsenal’s lava flow and eruptions. The directions of the lava can change any time thus it is important to follow the guides strictly. At present, Arsenal’s lava is flowing toward the west and southwest side. Visitors will hike through trails that are two to three kilometers long. Traversing these trails will take one into young secondary forests and old lava fields. Visitor safety is a priority thus park rangers are always updated on current volcanic activity so they know which trail is open and safe. There are a handful of tour combinations being offered that range from four to six hours. Depending on the your plans, you can take a morning or afternoon tour to hike in the Arenal Volcano and visit one of the hot springs in the area. You can choose to visit the Tabacon Hot Springs, Baldi Hot Springs, Eco Thermales Hot Springs, Titoku Hot Springs, or the Perdidos Springs. Lunch or dinner is included in the tour. Visitors can plan an overnight accommodation at the Arenal Observatory Lodge and at the Museum of Vulcanicity.